My holiday home decor is slowly spilling over into other rooms! 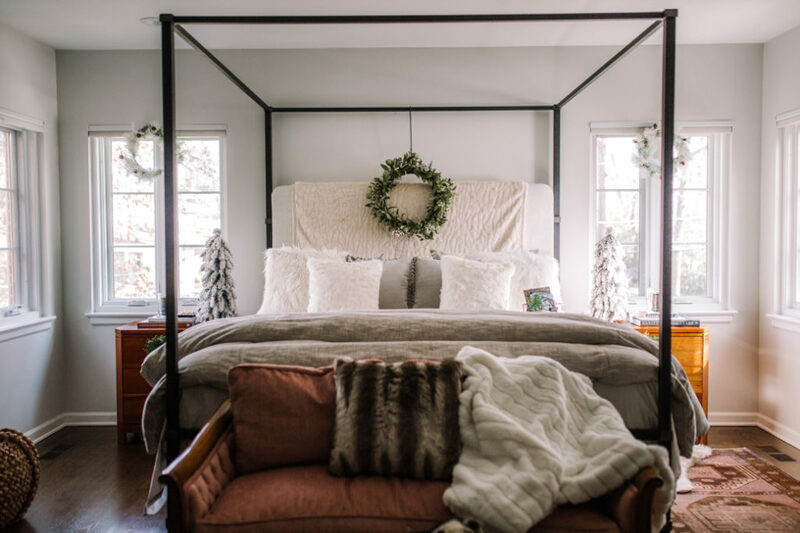 And decorating our master bedroom for the holidays just might be my new favorite space to cozy up in. As the days get shorter and the temperatures drop, hibernation mode has slowly set in! 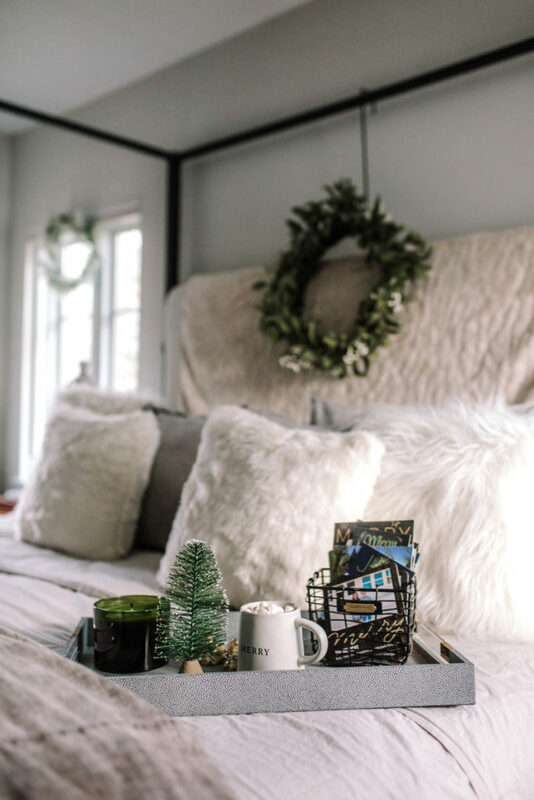 It only makes sense then to create the most cozy and comfortable surroundings possible within the home. In other words, it is time to hygge. “Hi” What? 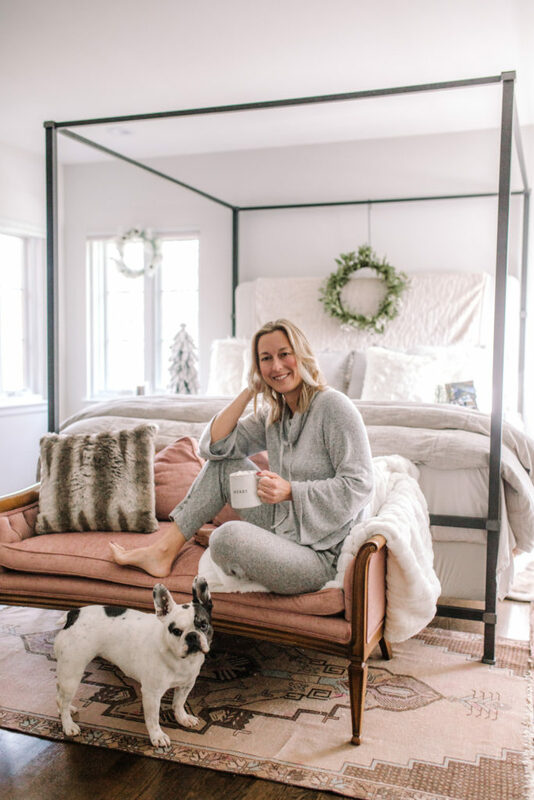 Hygge, actually pronounced (hoo-gah), in short, is the Danish way of living that focuses on hunkering down in the winter and creating a safe, comforting and warm place to hang out in as you wait out the winter months. And considering Denmark holds the position of having the happiest people in the world (yet experiences some of the longest and darkest winters), it’s worth taking note of this mindset! 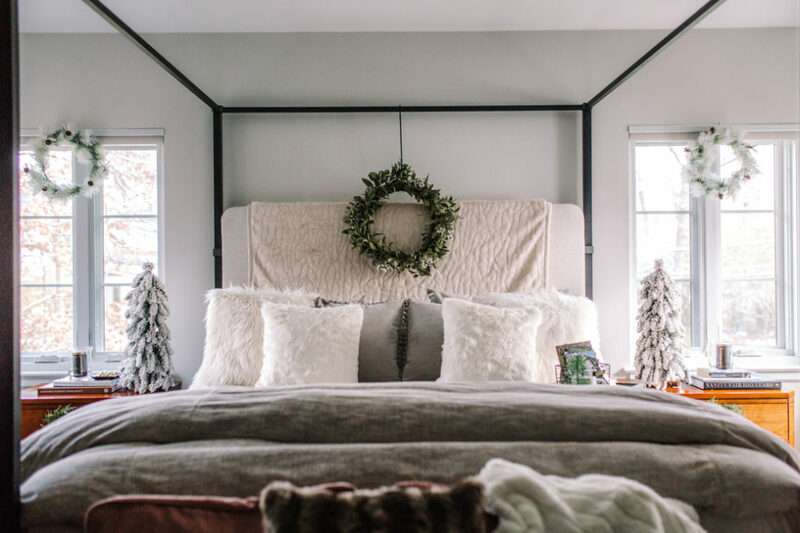 While a hygge space can be created anywhere in the home, honing in on your bedroom is an obvious choice. 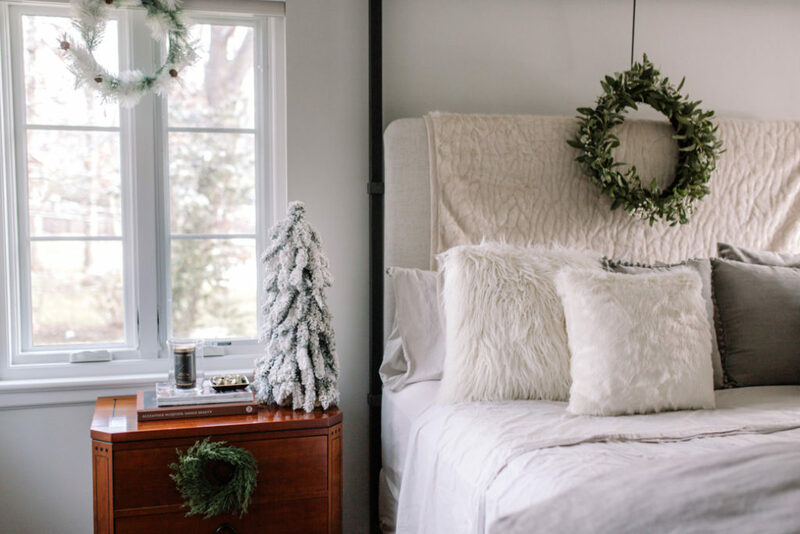 Add plenty of layers to the room with faux fur blankets, rugs and pillows. 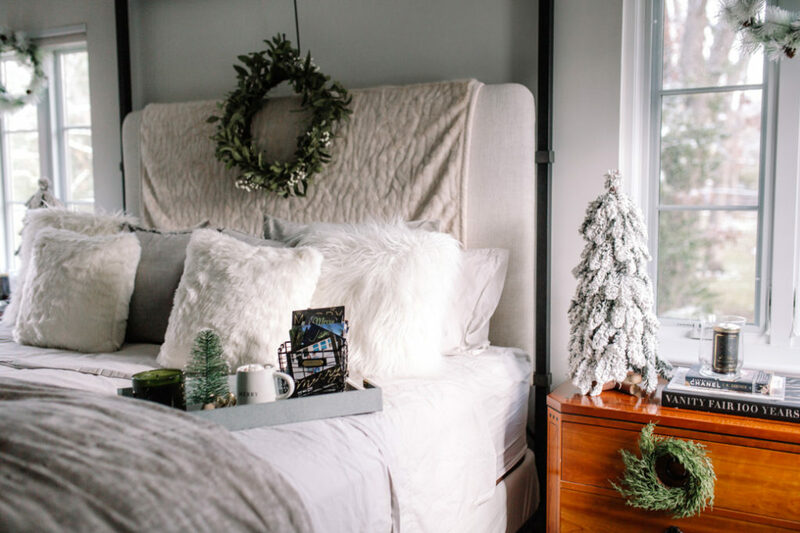 Bring the outside in by installing holiday greens. 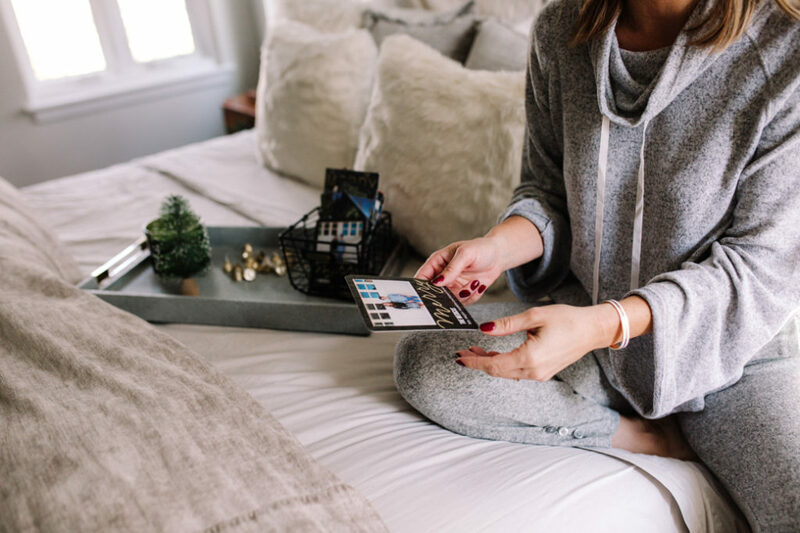 Put on your softest loungewear. Light your favorite candles. This is the basis of creating a hygge home. Beyond creating a comforting atmosphere though, hygge is also a mindset too. It’s about relaxing and nurturing yourself. Have something warm to drink and sweet to eat (comfort food not healthy food! ), play music and light a fire if you can. 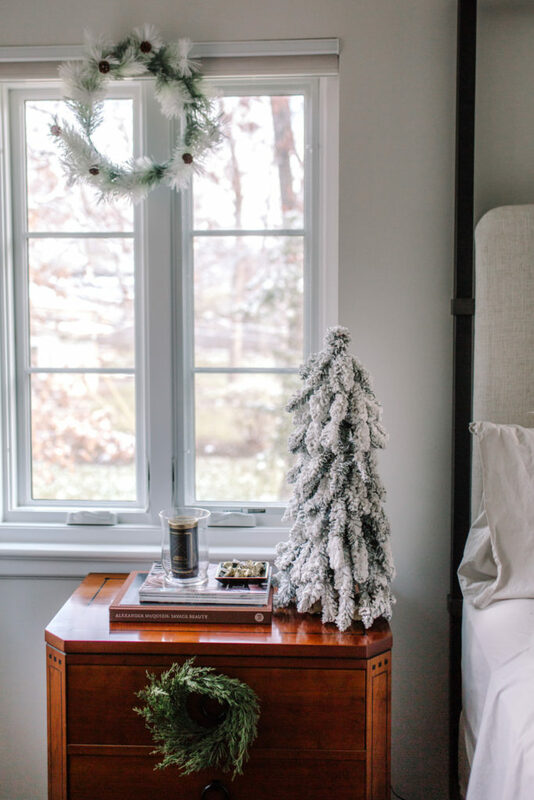 Begin the process of creating a hygge space for the holidays but plan on keeping this space installed all winter long! 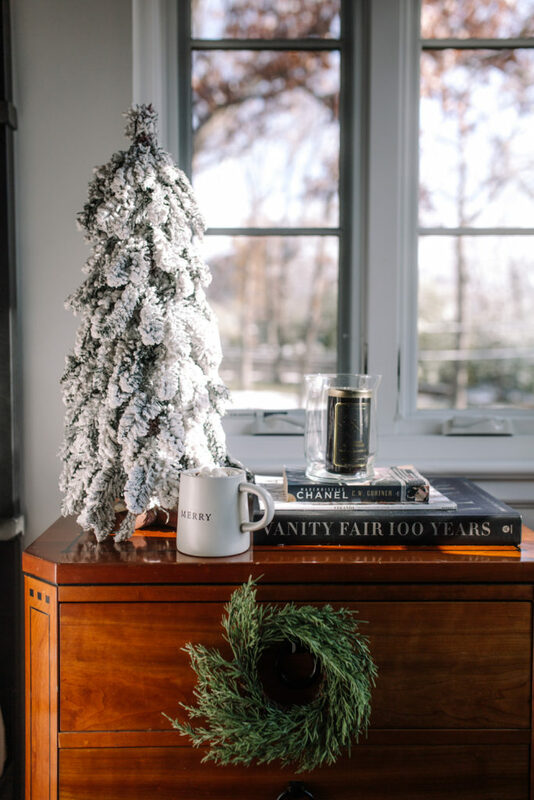 Want to really dive into the concept of hygge? There is a great read available here.